All of my huskies have started training with the team at around six or seven-months-old. They're obviously still growing at this point, so we start out doing very short, slow runs with lots of breaks and positive reinforcement. In the beginning, it's all about building confidence and getting them comfortable. Willy was initially freaked out running with a bike, but she quickly calmed down when she joined the team, and now she's my strongest runner. Blitz has reached the 6-month mark, so today was his first practice run. One benefit of running a small, recreational team is that training puppies has been easy. They aren't dragged along against their will on a string of eight or ten dogs, some of which they might not know very well. Instead, Blitz was right behind his best bud (Willow) and knew what to do right away. 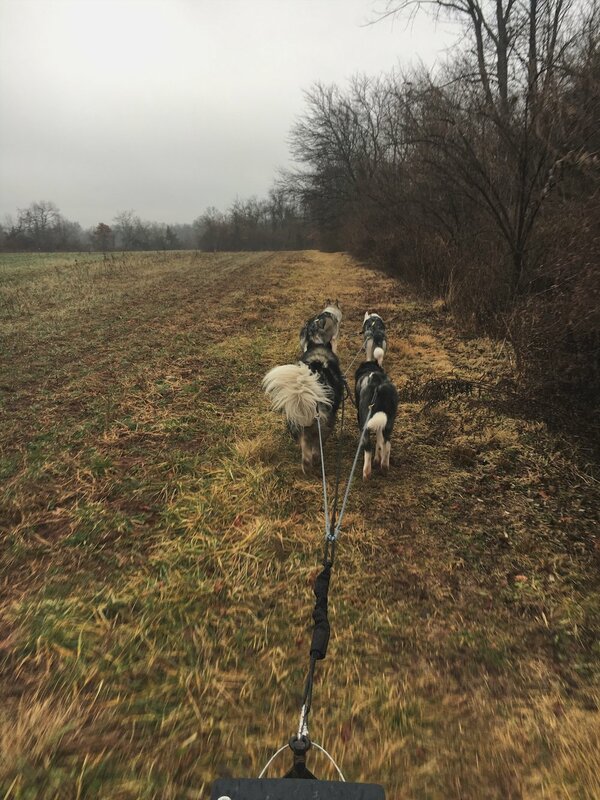 The dogs did great, despite the muddy trail conditions and the temperature being too warm for January. 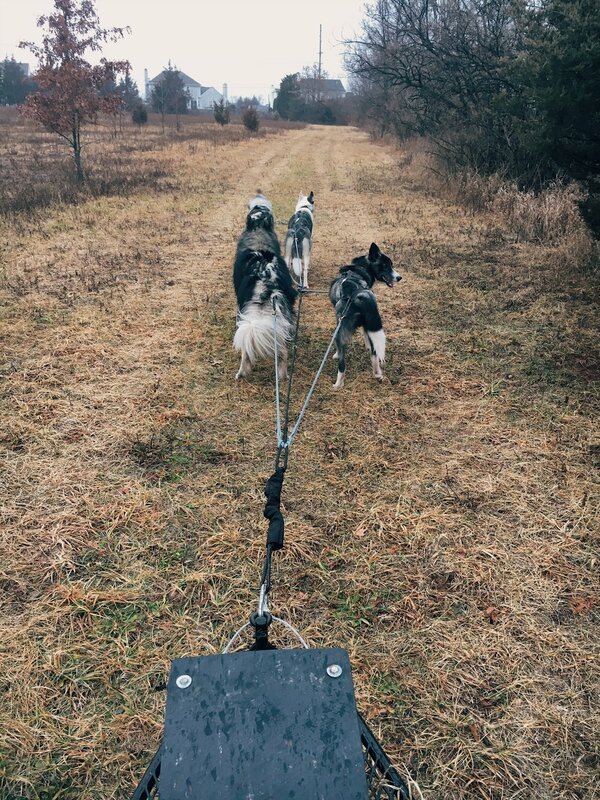 Blitz was still pounding into his harness when we reached the final stretch of our run, so I think it's safe to say he's a sled dog.